This is an easy dessert that you can make for guests right before they arrive and they will be coming back for more. Some people call it a buckle, some people call it a cobbler. I was raised eating cobbler’s. 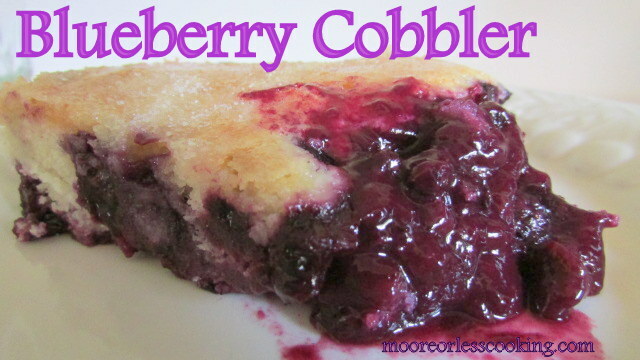 Boysenberry cobbler was our favorite, growing up in sunny California. I think I have fallen in love! 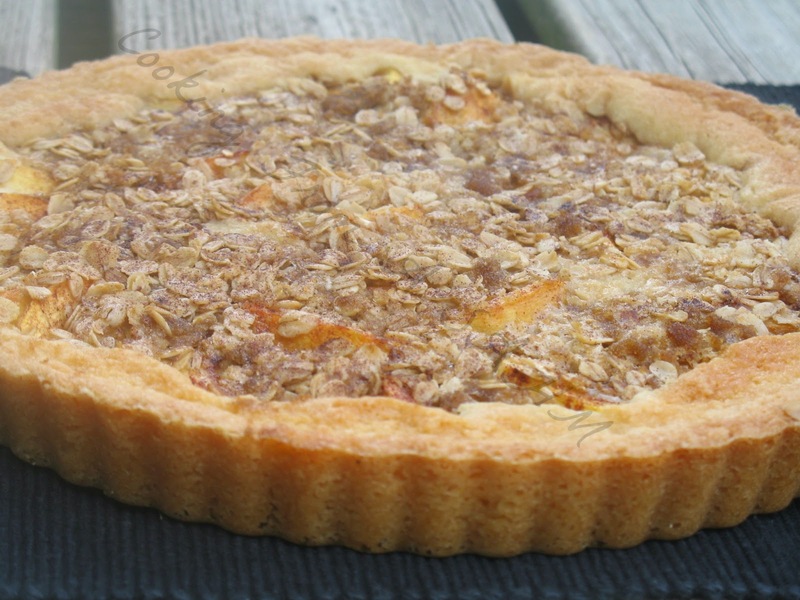 I just love desserts that are simple with not a lot of ingredients! But it’s really hard to find Boysenberries in the Northeast. 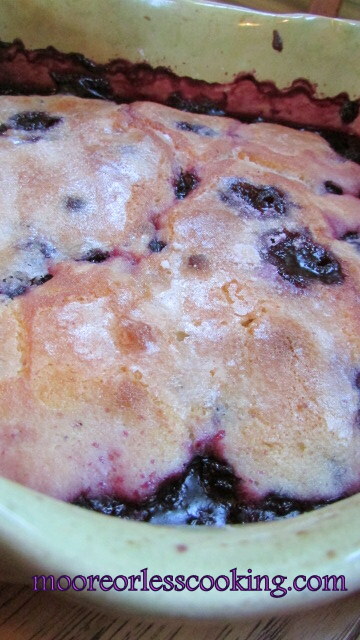 So I am making Blueberry Cobbler, which is unbelievably delicious. You will want to lick your plate, it’s that good. I might have done that…no one was looking, so no witnesses! 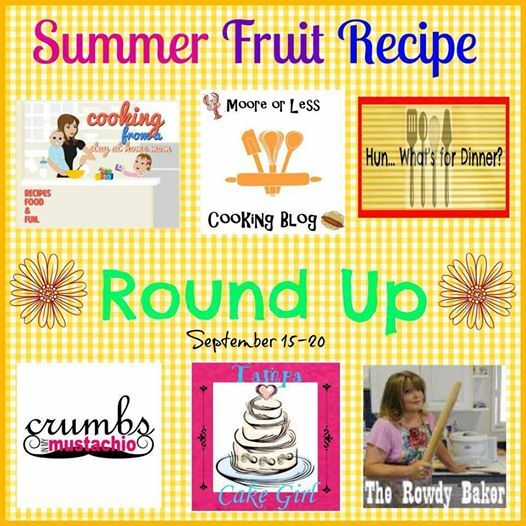 A group of blogger friends and I are doing a series of Saying Goodbye to Summer Fruits roundup! No No No! I don’t want to say goodbye! Especially since I don’t have to, since hubs bought 10 lbs of blueberries…tee hee! 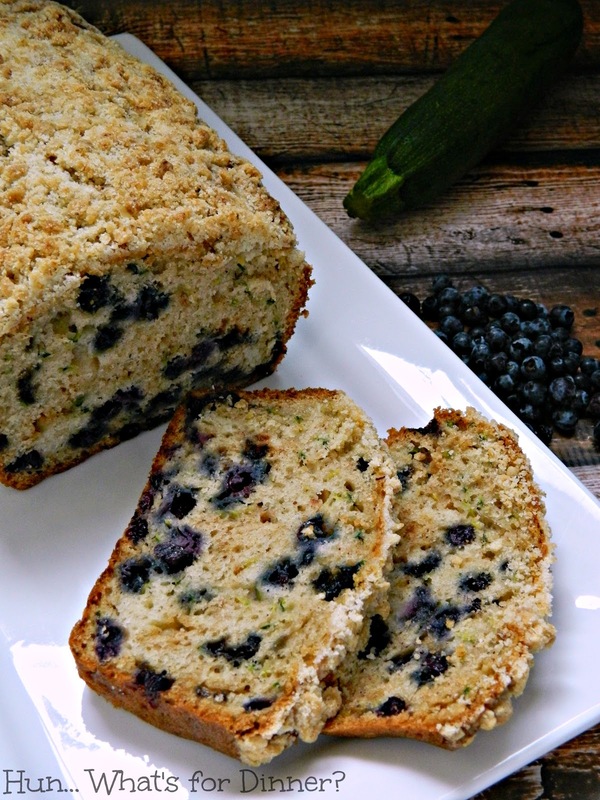 Maple Blueberry Zucchini Loaf from Hun, What’s for Dinner? So easy! Can something that delectable really be that EASY?! Mmmmmmmmmm. What is the purpose of the boiling water poured over the batter?